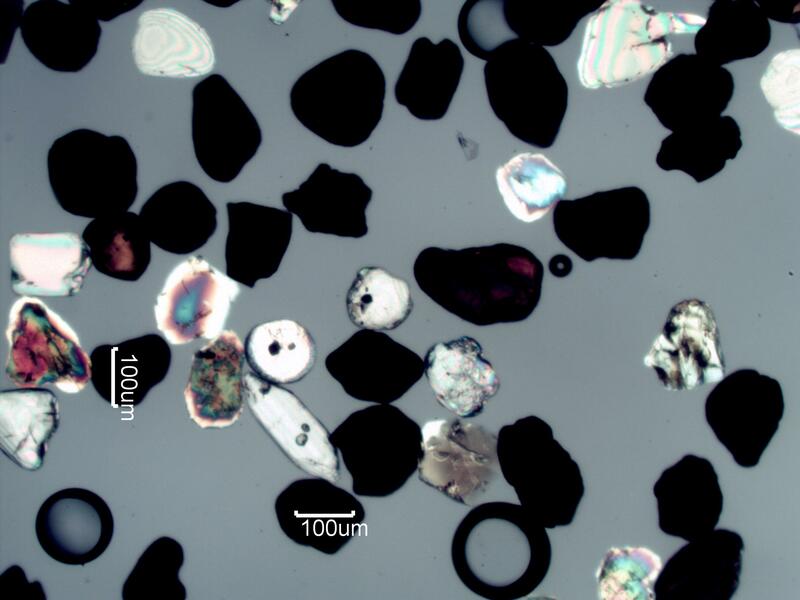 This is a sample of the sand after passing it through a #80 US seive (smaller than 180 micrometers). It is predominantly heavy minerals. Greenberg, Gary, A GRAIN OF SAND: NATURE'S SECRET WONDER, Voyageur Press, 2008. Welland, Michael, SAND: THE NEVER ENDING STORY, University of California Press, 2009.